An urban and contemporary place with a cool and relaxed atmosphere. Smart, comfortable rooms, designed, easy-going spaces and an unbeatable price/fun ratio. 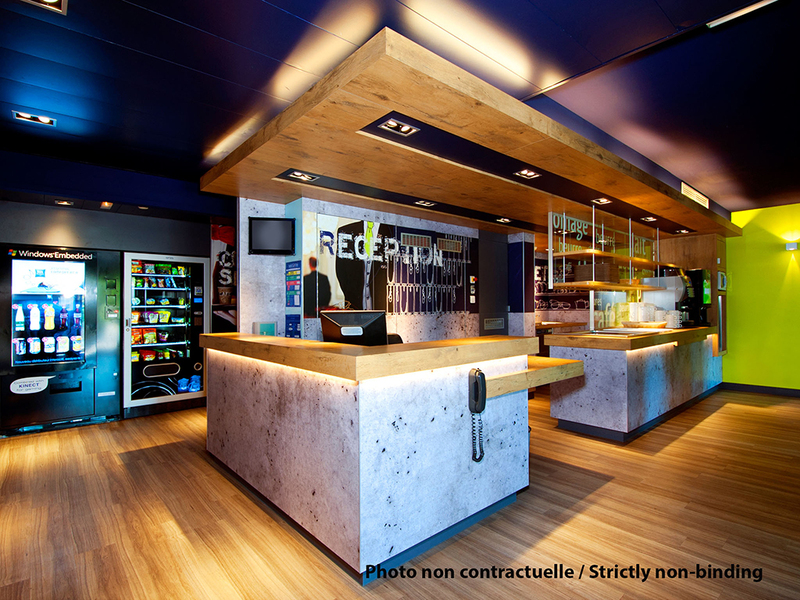 Ibis Budget Hotel is in the heart of Bourgoin-Jallieu, 1.2 km from Stade Pierre Rajon and less than 10 km from the Golf de l'Isle d'Abeau and Sainte-Anne's chapel. The Village Outlet shopping center is 15.9 km away. Bourgoin-Jallieu train station is a 6-minute walk away. Ibis Budget is in the heart of Bourgoin-Jallieu, 1.2km from Stade Pierre Rajon, less than 10km from Golf de l'Isle d'Abeau and St-Anne's chapel. Village Outlet is 15.9km away and B-J station, 400m away.